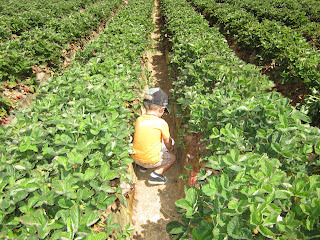 It's A Home Grown Revolution: Strawberry Picking! 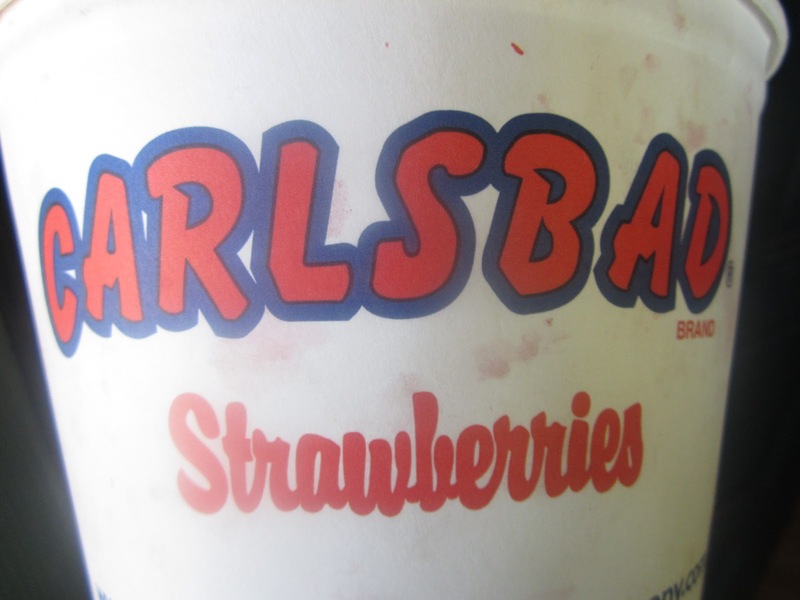 So we headed up to Carlsbad and grabbed a bucket. My good farmer said he wanted a big bucket, so a movie sized popcorn bucket it was. Then we hit the fields. It is super fun for anyone, but at this toddler age it is perfect. They are down in the ditch between rows so the plants and berries are basically at head level. Some are squishy, some are perfect, some are super gooey and some you might just have to eat right then! You know it is a HUGE hit when in the hour we spent picking my good farmer yelled out "this is so much fun mom!!!" ten different times. 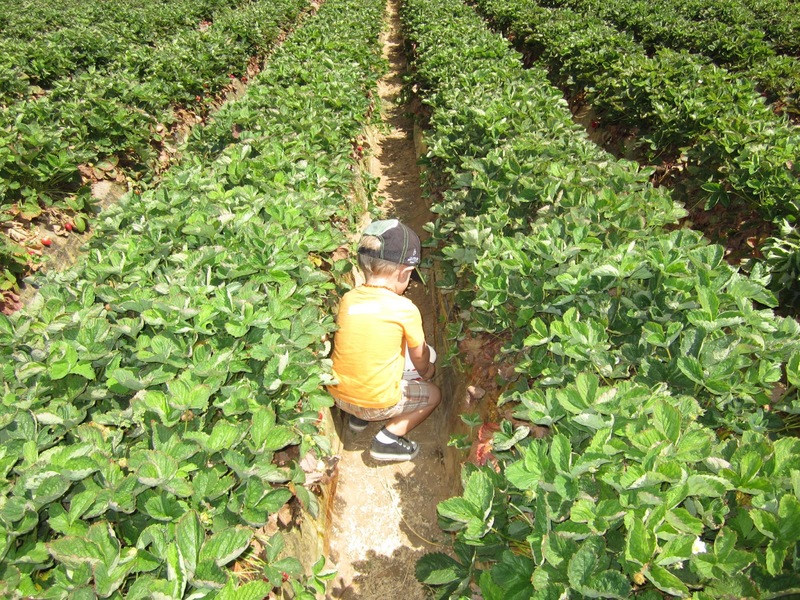 So look around, look online and try to find a local strawberry field that you can go pick yourself, family fun for everyone!!! What do you do with that many strawberries you ask? Well..... you eat a BUNCH!!! Some on their own, some dipped in coconut yogurt. What about the rest???? Measure and blend the xylitol and pectin. Blend or mash the strawberries. 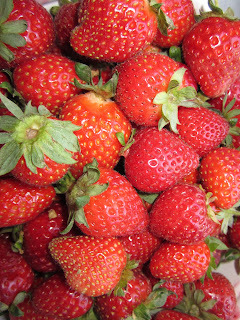 Add the xylitol and pectin mixture to the strawberries and whisk for 3-4 minutes. 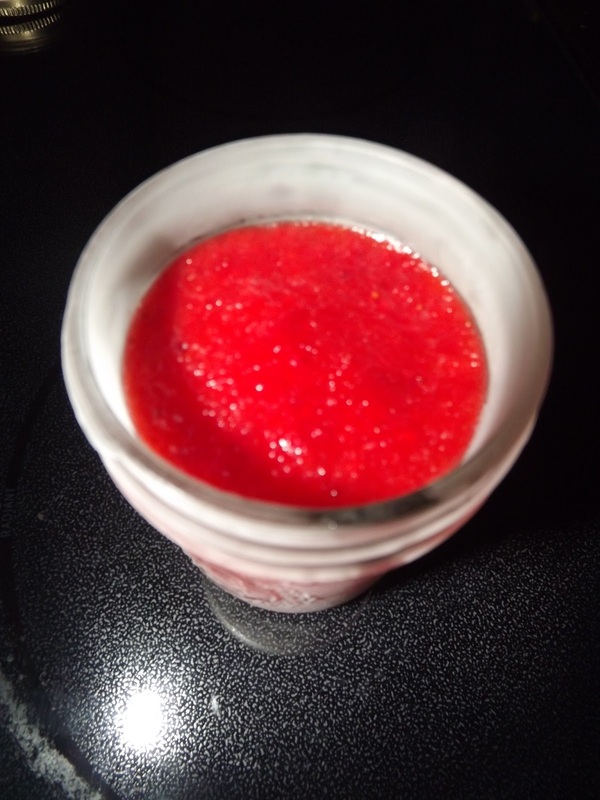 Pour the mixture in freezer safe containers leaving at least half an inch for expansion. Let it sit on the counter for 30 minutes then pop it in the freezer. 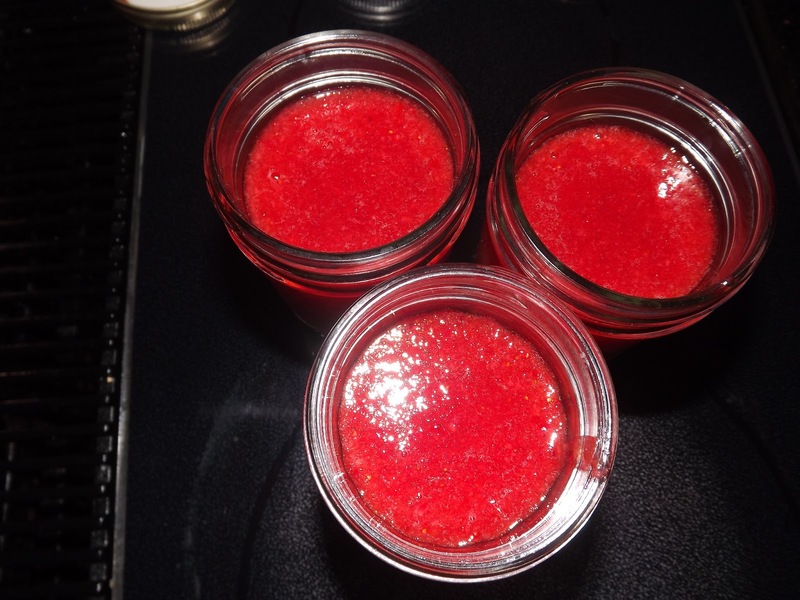 Guess what.... you have freezer jam! About 4 cups. Pull one out and put in the fridge as needed. straight out of the freezer! Super simple, family fun and lasting results!